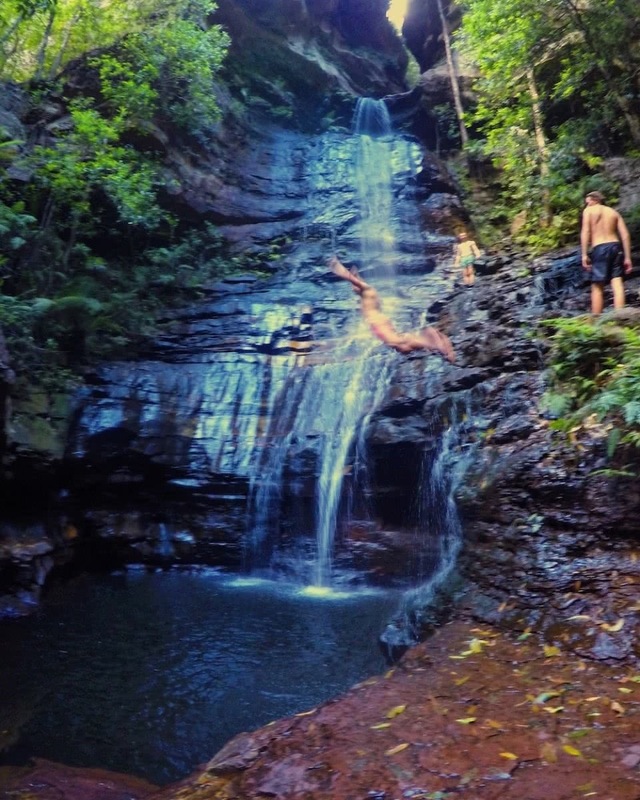 Where can you find a remote plunge-pool paradise only a day-trip away from Sydney? National Pass in the Blue Mountains National Park. That’s where. Now I’m a Brit, or as everyone over here likes to say, a bloody pommie, therefore I am not used to the beautiful warmth you guys have over here. Because of this, I am a huge fan of exploring coastal regions and National Parks where I can pop in and out of the water to wet my brow, have a splash and cool off. 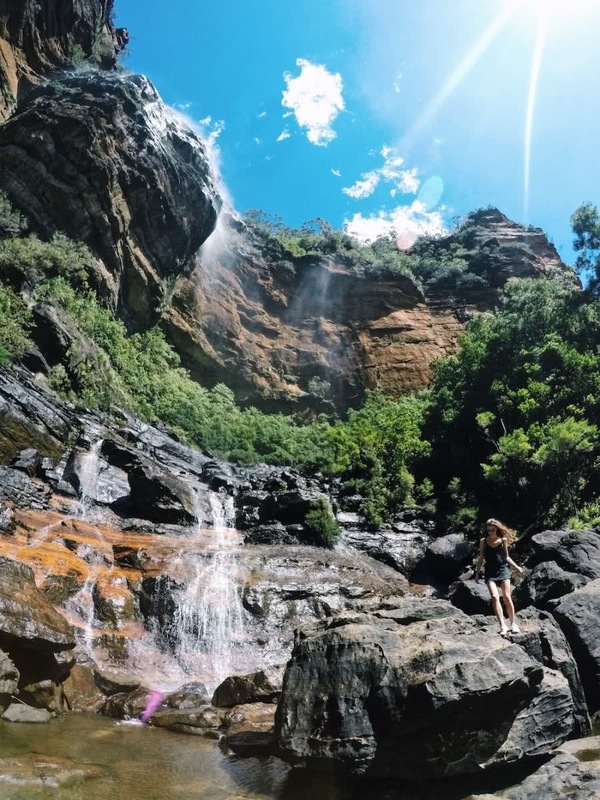 When visiting the Blue Mountains on a hot summers weekend, I naturally went looking for hikes where water would play a role. The National Pass became my chosen hunting ground. As much water as I could get my hands on was the game plan in the 32+ degree heat. I had seen Wentworth Falls from above before but had never been down to the bottom and this was the starting point of the hike. After a few hundred steps and a shirt that could be rung for days, we reached the bottom. Now I don’t know about other days and different flows but on the day we went there was a plethora of gouged out pools in the rocks. Perfectly formed deep Jacuzzi-like pools, which were calling out to be plunged into. After you reach the base of the falls you have two options: you can either go further down to the valley floor to Wentworth Pass or do as we did and take the track that is cut mostly into the rock face (by hand over 100 years ago) half way up from the valley floor. You’ll see dramatic cliffs rising above you (National Pass) and ever-changing scenery; Jurassic Park-esque rainforest, to desert-like sections with sandstone cliffs rising above you, with truly spectacular views of below at the same time. There was definitely no dull moment thinking “yay another bloody fern” after walking through the same scrub for hours on end! Near the end of the walk, Empress Falls burst into full view, sunshine and all. The deep pool was so enticing that we had to go for a quick dip before the climb back up the pass. 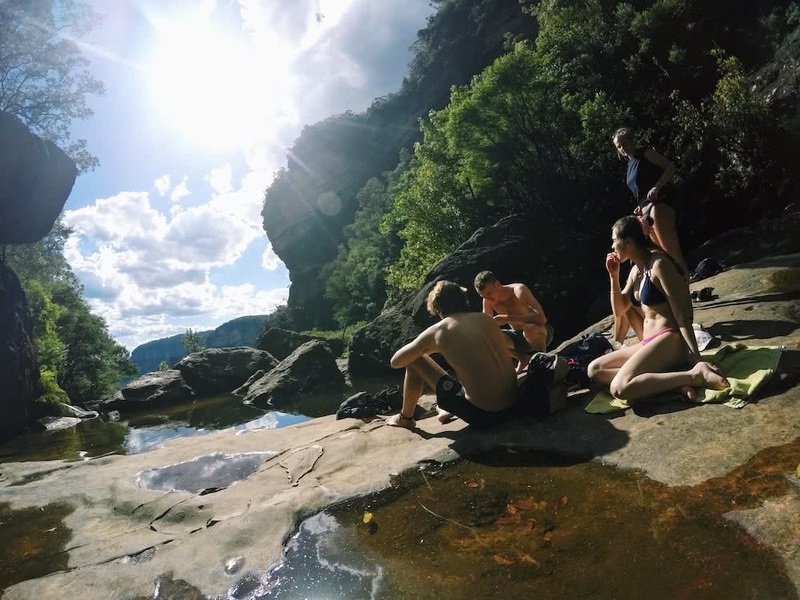 Jumping off the rocks into an ice-cold pool, shocking our tired bodies out of the post-hike aches and pains and ending the day with a picturesque splash — what an end to the hike that was! 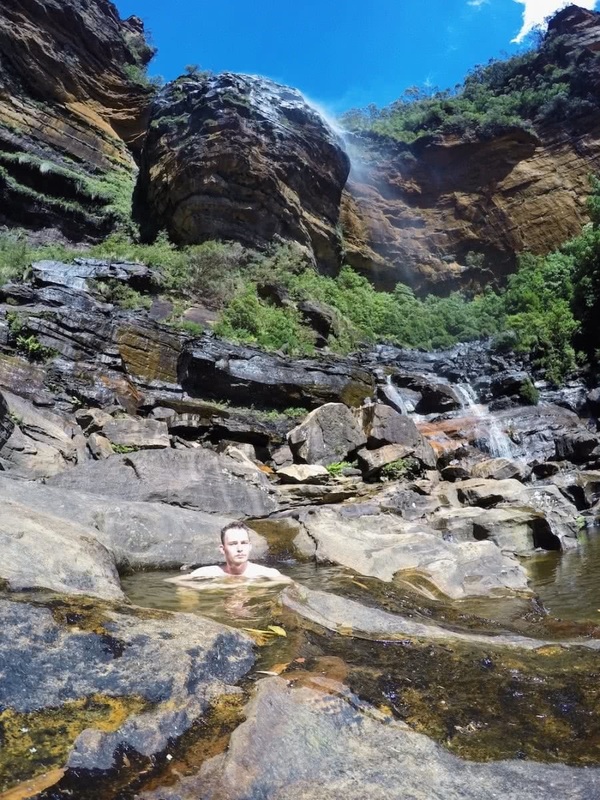 Park at Wentworth Falls near Katoomba and start the walk from there. Intermediate. A fair few steps at either end to get down and up. 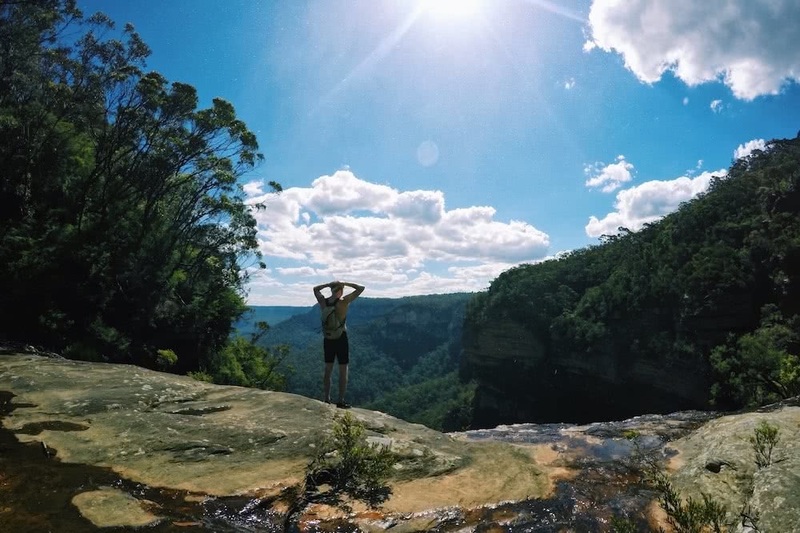 A proper English adventure seeker and outdoor connoisseur currently living in Sydney. With a yearning for all things wild I feel at home out and about and discovering new places and taking the occasional photo.